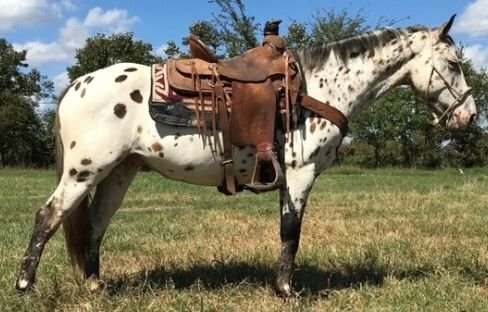 Freckles is a 7 year old Leopard Appaloosa gelding that stands at 13.2 hands tall. He has a gentle and quiet disposition. He has been trail rode, taken to playdays, taken to the wagon races, roped off of in the pasture and pushed cows. He is started on the heel side and has packed several kids around. He will make an excellent little ranch pony.